Born in Osaka, Japan, in 1987 Lena Yokoyama started her musical education with her father Kango Yokoyama continuing then with her mother Reiko Shimitzu and with Nandor Szederkenyi. She moved to Italy in 2006, where on February 2011 she graduated with honor in violin at the “Claudio Monteverdi” Musical Institute in Cremona, under the guidance of Laura Gorna. From 2011, she attends to Salvatore Accardo’s classes at the Accademia di Alto Perfezionamento Walter Stauffer in Cremona. She improved her musical education in chamber music with Alexander Lonquich and in solo repertoire with Salvatore Accardo at the “Accademia Chigiana” in Siena, with Chaim Taub in Bruxelles and Ivan Rabaglia (Trio di Parma) at the “S. Cecilia Academy” in Portogruaro. She played as soloist and in several Chamber Music ensembles in many concert halls in Italy and abroad such as Teatro Ponchielli and Auditorium G. Arvedi for “Stradivari Festival 2013” (Cremona), Teatro Dante Alighieri (Ravenna), Teatro Romano (Aosta), Palazzo Chigi Saracini (Siena), Auditorium Gaber (Milan), Auditorium W. Walton (Ischia) and Circle Royal Gaulois (Bruxelles). She collaborated with Reiko Shimizu for many concerts in Europe and Japan. In March 2013, she played at the Metropolitan Pavilion in New York during New York Mondomusica Festival. She is now collaborating with the Orchestra da Camera di Mantova conducted by Carlo Fabiano, Orchestra da Camera Italiana founded by Salvatore Accardo, Orchestra da Camera di Brescia founded by Filippo Lama, Ensemble Cremona Antiqua founded and conducted by Antonio Greco and Divertimento Ensemble (Milano) founded and conducted by Sandro Gorli. 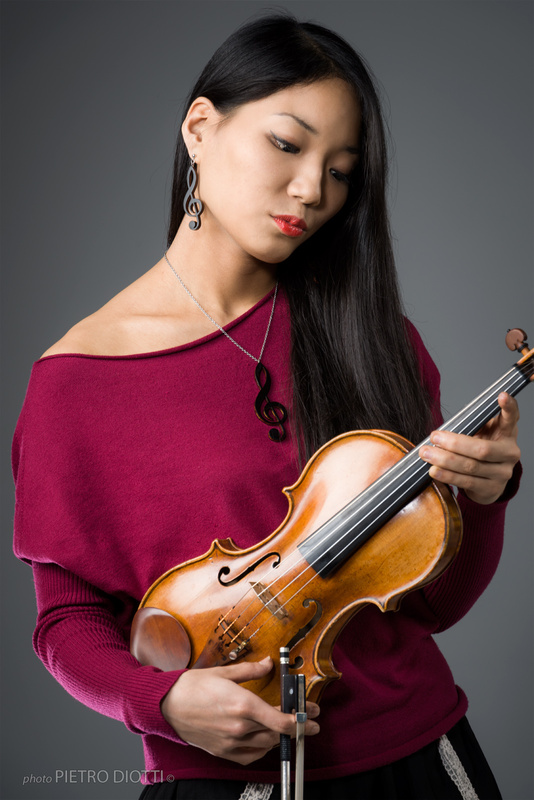 From 2015 she is the principal violin of the Perosiensemble in Biella. Awarded in many national and international competitions, like Premio Crescendo in Firenze and Rospigliosi Chamber Music Competition, from 2013 she plays for public auditions the prestigious violins (built by Stradivari, Guarneri, Amati and others historical lute makers) preserved in the new Museo del Violino in Cremona. In 2007 she formed a Duo with the pianist Diego Maccagnola, obtaining audience success and critical appreciation. In 2012 she founded together with Diego Maccagnola (piano) and Alessandro Copia (cello) the Trio Kanon. They started their chamber music experience building their repertoire under the guide of the Trio di Parma (Miodini, Rabaglia, Bronzi) at the International Chamber Music Academy in Duino. In 2015 Trio Kanon has been awarded with the “Chamber Music Award”, sponsored by the Haydn institute and the “University of Music and Performing Arts” in Vienna, as best chamber music group at the “Internationale Sommer Akademie Prag-Wien-Budapest”. Trio Kanon recently recorded for prestigious review “Amadeus” and “Movimento Classical” label music by L. v. Beethoven. She plays a violin made by J.C. Gigli in 1752 and Eva & Christo Marino del 2015.